The Vermillion Lakes offer amazing vistas of mountains around the town of Banff. 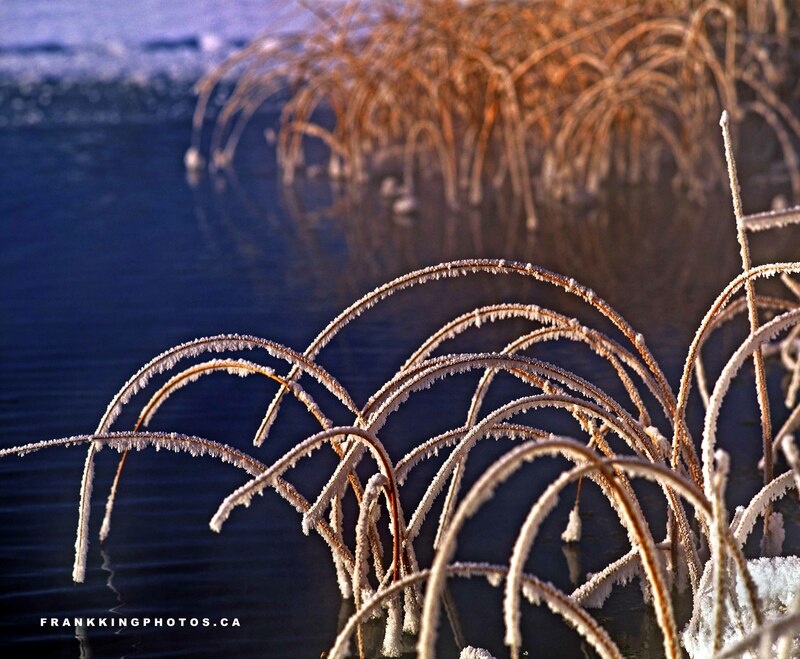 Better still, parts of the lakes are fed by hot springs and stay ice-free in winter, allowing opportunities for pictures of frosty reeds. I fished through the archives for this photograph, made during the 1990s on my old Pentax 6×7 medium format film camera using Velvia slide film. I had the slide scanned, then tweaked it using Photoshop. As one of the rare people actually born in Banff, I say this a lovely photo!